Hilde, often described as “The Miracle Worker” – because of her, fast and effective life changing solutions – is a catalyst for creating healthy relationships and well-being in life. 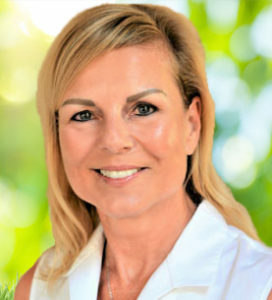 Being a dynamic and entertaining speaker and one on one coach for over 17 years, Hilde has worked with thousands of parents, children, couples, individuals, teachers, counselors, and pediatricians, presenting keynote addresses, workshops and seminars. She has helped her clients to communicate more effectively, resolve conflicts peacefully, reduce stress and anxiety, and provide them with positive discipline methods. She’s taught skills to raise capable, independent, resilient, and respectful children, WITHOUT raised voices or giving into guilt. Large organizations, such as SDG&E, The Scripps Research Institute, as well as many schools and several MOPs chapters to name a few, have sought Hilde for her inspiring keynotes and workshops. Hilde, described by her clients and audience’s as warm, engaging, and inspiring, delivers practical, solution-focused advice that they can put to use immediately for visible results. Encouraged by her challenging upbringing, Hilde decided to study psychology and became very passionate about helping others in creating positive changes in their life. The catalyst for becoming a Family Coach and Stress & Anxiety Relief Specialist was her own realization that she had turned into a reactive and argumentative person, she swore she’d never be, while taking care of foster children. Hilde felt in her heart that there must be a more positive way to communicate and redirect her foster children’s behavior in a more effective way. Determined to find solutions, Hilde signed up for a parenting class called “Redirecting Children’s Behavior”. The methods she learned during the seminar where so powerful, that after only 1 session she was able to create more corporation, respect and closeness with her foster children – and her partner 🙂 -. Her fast and effective success in creating healthier and happier relationships inspired her to study parent education, mediation, and the core dynamics of human conditionings, which led her to become a certified Family Coach and Stress and Anxiety Relief Specialist. Her mission became to impact entire communities in such a way that children and adults will experience a sense of empowerment at home, school, friends’ homes, and anywhere else their lives lead them. The “Redirecting Children’s Behavior” Program, also called by Hilde “Secrets to Successful Parenting” teaches the skills that create self-confident, responsible, respectful, cooperative, drug- and violence free children. Hilde’s classes and one on one service emphasize teamwork, creating win-win solutions, and effectively avoiding power struggles using kind-but-firm methods promoted by Kathryn Kvols, the founder of the program “Redirecting Children’s Behavior”, Dr. Rudolf Dreikurs, and the principles of Adlerian Psychology. The parenting program is endorsed and recommended by pediatricians and mental health professionals nationwide. About 8 years ago Hilde discovered the “Stress and Anxiety Relief Program, founded by Tom Stone. It made such an immediate and substantial change on her quality of life, that she decided to study the program. Easy to learn techniques will help adults and children to liberate themselves from fear, anger, guilt, regret, resentment, depression, anxiety, worries and other emotional suffering. It resolves barriers, allowing to improve personal well-being, relationships, parenting, health, career, sense of purpose, fulfilling our desires, or other areas in life. The techniques are so fast and effective, thorough and permanent, that people have been calling it “Miracles in Minutes” – so you can begin to experience more joy, balance, success and happiness in your life, instantly.